Some books, especially ones with lots of elements like sidebars and illustrations, look more organized and interesting with uneven columns. 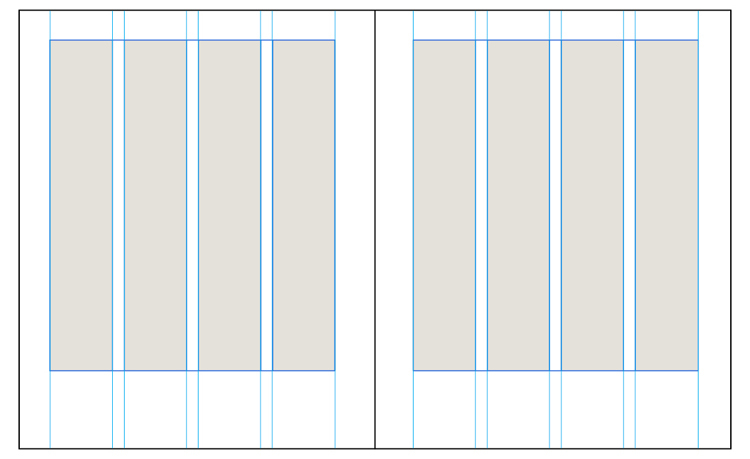 This section from Book Design Made Simple explains how to get InDesign to make one wide column with a narrow one next to it. 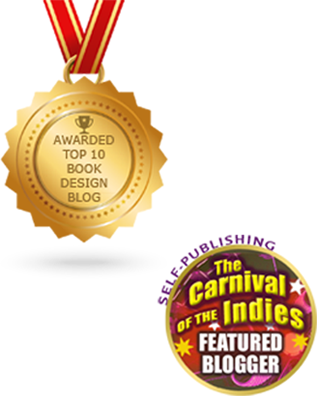 There are infinite variations on the details, so first read how to do it and then apply the principle to your book design. Don’t worry if you’ve already flowed the text into your layout because once you’re finished, the text will flow into your new main column without a problem. Set up some good, usable margins and one column. Next we’ll adjust the columns to suit the needs of the book (we used Book Design Made Simple) in the example below. The book has one wide column and one narrow one on the outside for captions, comments, and a few small illustrations. Even though only two columns are visible, it’s actually based on a 4-column grid. Go to Layout > Margins and Columns and make sure the Enable Layout Adjustment box is unchecked. Select the number of columns you want to base your grid on and the gutter between them, and click OK. On A-Master, drag vertical guides to the left and right edge of each column that you made. (Put your pointer in the ruler on the left edge of the screen and drag to the right to make the guides.) For a four-column page like this one, you should end up with eight vertical guides. Repeat this on the other page of the A-Master spread. See below. The Measure Tool (left) and the Info panel, which appears whenever the Measure tool is used. Using the Measure tool, put your pointer at the outside trim edge of one of the pages, then hold down Shift as you drag horizontally to the outside of the main text area that you want to create; on this page it would be the third guide from the outside trim. When the Info panel pops up automatically, make a note of the width (W) of the line. Close the Info panel. The mark made by the Measure tool will disappear as soon as you click on another tool. Go to Layout > Liquid Layout and in the fly-out menu click Layout Adjustment. Uncheck Allow Ruler Guides to Move, then click OK. Go to Layout > Margins and Columns and first check Enable Layout Adjustment, then change the number of columns to 1. Next, change the outside margin to the width of the line you measured in step 2. 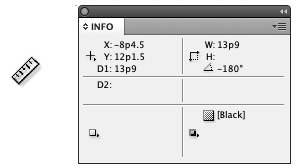 Click OK, and InDesign will reflow all your text into the new single column that you made. Your page will have an enormous outside margin, with two vertical guides showing you where your outside column is, and the other vertical guides indicating the rest of your grid. The result is shown below. Because Layout Adjustment is turned on, InDesign automatically fills exactly the area that you want to use on each page for your main text and leaves the rest free for captions, images, and so on. A three-column or five (or more)-column grid might work better for your book. It all depends on the page dimensions and the sizes and shapes of your images and materials. 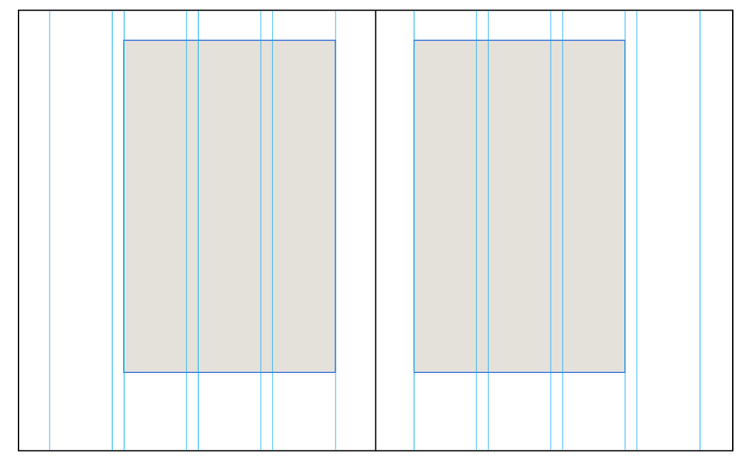 We hope this practical trick will help you make a usable, flexible grid for your book. Read more: Using a baseline grid » to learn how to make your type align consistently from page to page. 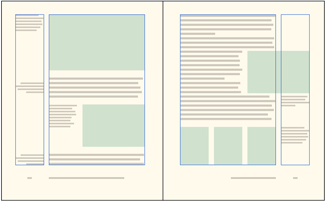 Read more: Using a layout grid in book design » to find out how to dynamically relate the pieces to the whole. 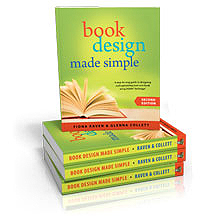 The excerpt above is from Book Design Made Simple, Second Edition, chapter 20, Changing your margins, pages 126–128. Copyright © 2017 Fiona Raven and Glenna Collett.